I haven’t fallen in love with a city so fast the way I did with Sydney. Barcelona has always had a special place in my heart and no other city could come close to it, but then, while in Bondi beach on a day that the waves were strong and the sky was letting sunlight peak trough, I knew right there Sydney was pretty much set to be in my heart forever. Parts of it, reminded me of Toronto. Sydney tower, Hyde park… The mix of skyscrapers and old architecture all within a block. I would take the ferry from Manly beach into Sydney every morning. Coming into the harbour to the view of the Opera House felt surreal every single time, a view like that never gets old. So I’m very excited to share this trip with you and if you haven’t been to Sydney yet, make sure you visit soon. 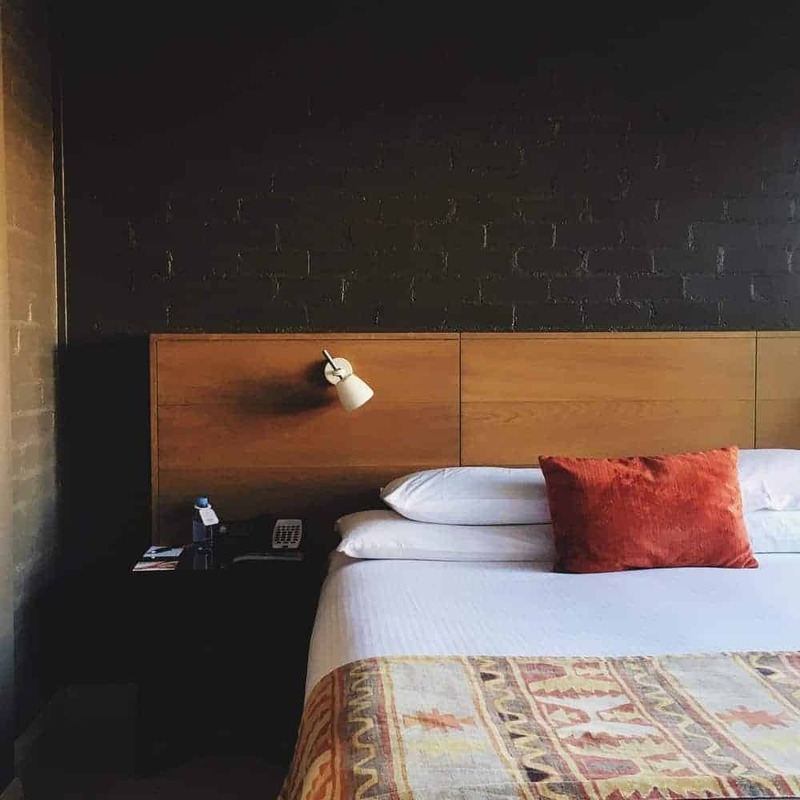 Manly is just fifteen minutes from Sydney CBD (downtown) by ferry, making it the perfect place to visit for a day, or to use as your place to stay while in Sydney. On its own small peninsula, it’s bound by Sydney Harbour, the Sydney Harbour National Park, and the Pacific Ocean. All of this natural beauty is complemented by many beaches (a true surfer’s paradise) nearby and perfect hiking spots. Honestly, I think we all can benefit from hikes and runs that put us in direct contact with nature, and Manly beach had that impact on me. If you follow me on snapchat or IG stories, you saw how taken I was with the views from my morning runs. 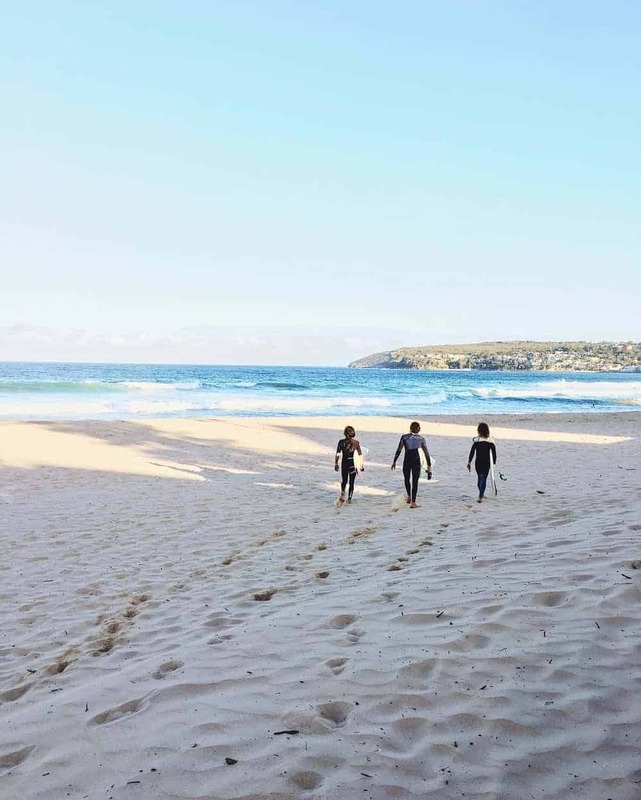 Don’t miss hiking from Manly beach to North Head for some of the most breathtaking views of the city, or to walk (or swim) from Manly beach to Shelly beach and have brunch at the Boat house. This brings me to one of the reasons I loved Sydney so much; Food. But not only how out of this world it was, but how it was plated, how this city has taken flavours and combined them to a new level, how each restaurant and cafe had a vibe of its own. I can honestly say that there’s no other city that’s killing the food game like Sydney. Another exceptional experience Sydney offered? COFFEE. 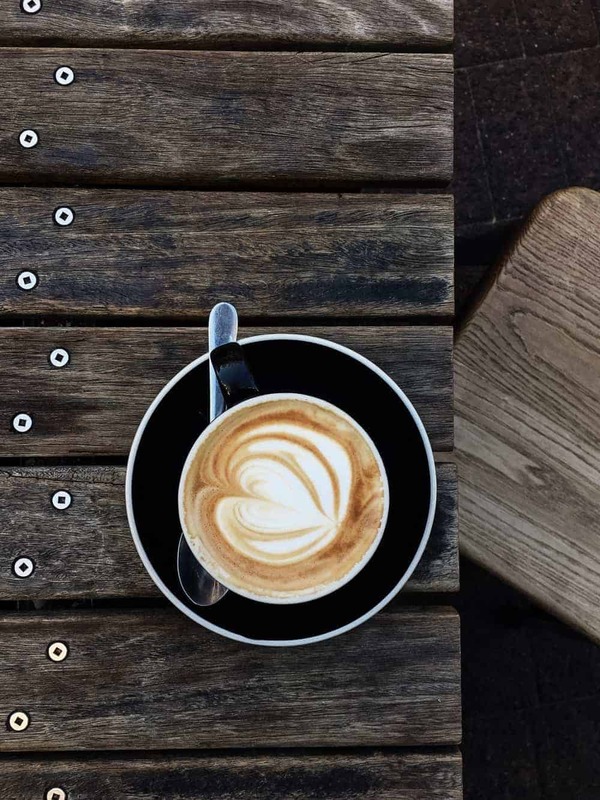 Trust me when I tell you that I come from a city that has pretty good coffee shops (Sam James, Boxcar social, to name a few) but the passion that Australia has for coffee is not to be messed around with. My first coffee experience was at the airport, while waiting for my friend Nayla to pick me up. I ordered a flat white and at the first taste, I was in heaven. I must have said “is this for real?” or something similar because people looked at me and smiled, while one asked if this was the first time I was having Australian coffee. My very first time indeed! From then on, I averaged about 3 flat whites a day in pure awe of how each one was “the best coffee I’ve ever had”. 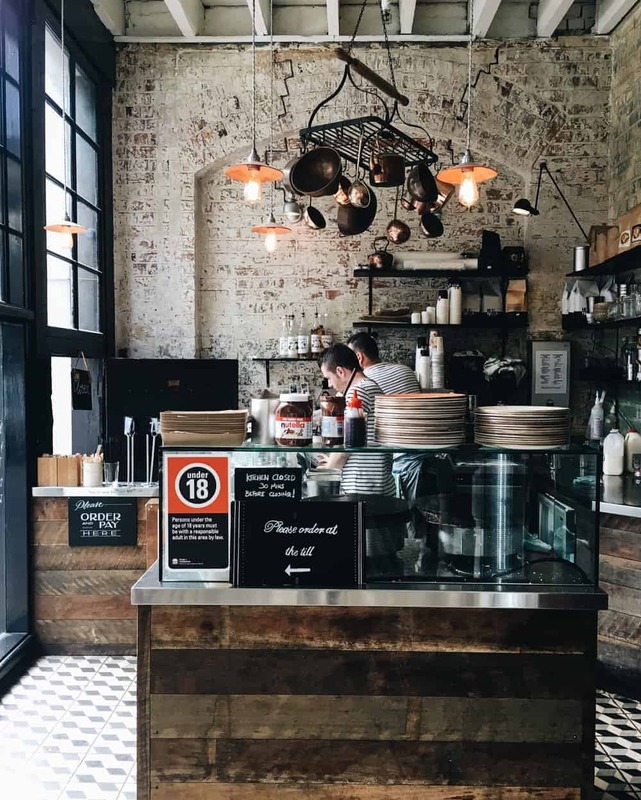 I’ve put together a list of restaurants, coffee shops and things to do, so when you are in town or visiting again, you stop by these gems. 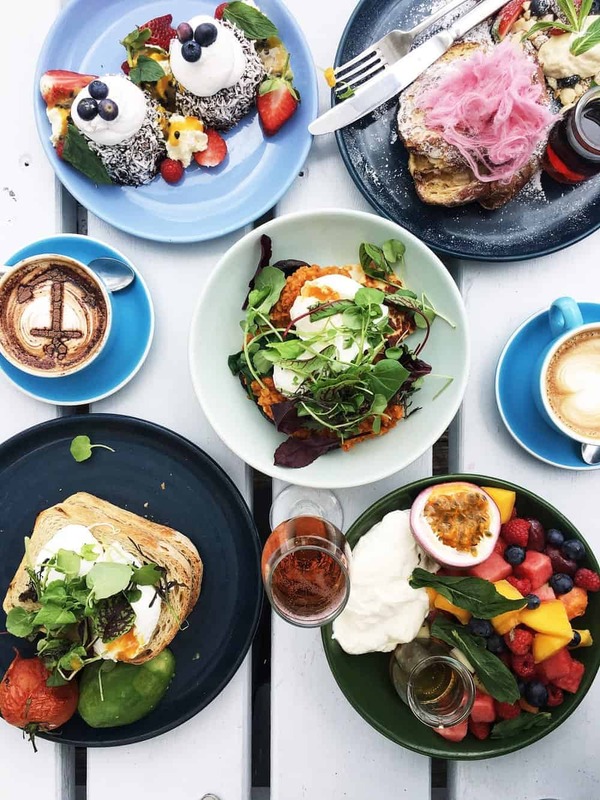 This cafe (there’s also a second location in Shelly beach) offers fresh modern Australian cuisine, rustic furnishings, beautiful interiors and flowers everywhere, all in a gorgeous beachside setting. The Boat house was where I had my first meal after A 14 hour flight. The highlight was poached eggs, over red lentils with mushrooms and halloumi. After a walk with my friend Rachelle from Bondi to Bronte beach, we had brunch at Porch and Parlour. Coolest decor, and a playlist to match. Flat white to start, plus a green breakie bowl with kale, mint, quinoa, coriander, parsley, poached eggs and avocado. We also shared a cinnamon bun, because why not? If you go, please have it and think of me doing a happy dance. 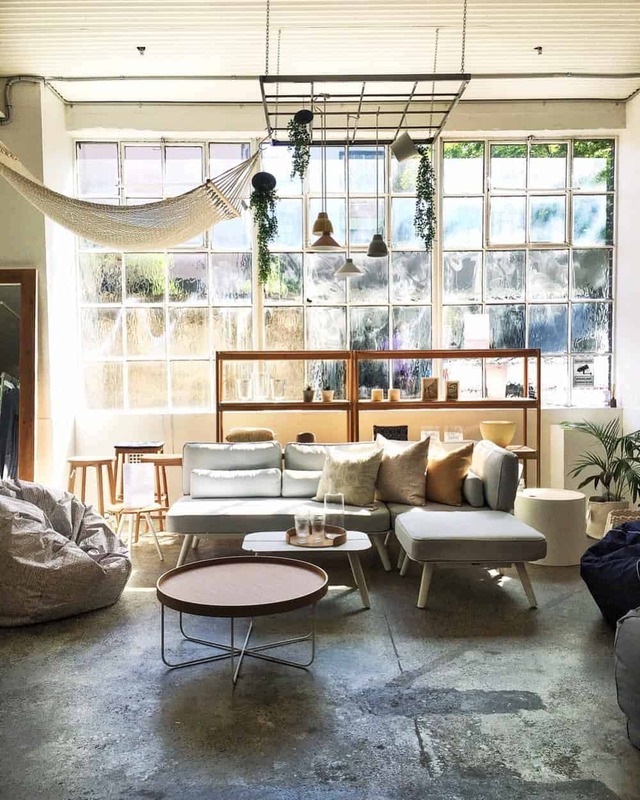 If I lived in Sydney, this is were I would go shopping for all things home. Minimalistic design done right. The store is located in a leafy street in Surry hills. More on this neighbourhood later. Loacated in Surry Hills and running for about 19 years, you will find Pablo’s vice just off the vintage fashion stretch of Crown Street. Red façade, stools on the sidewalk and posters everywhere about concerts and happenings in the city. 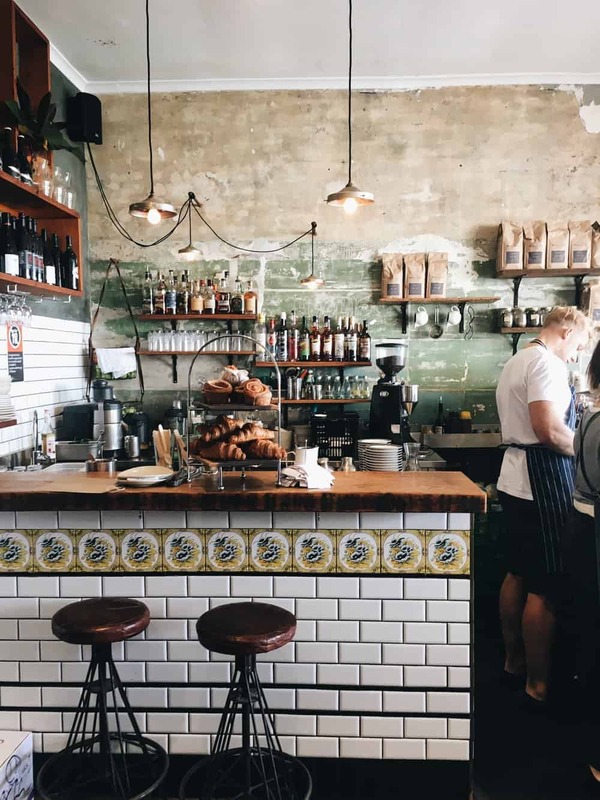 There’s a general air of bohemian cool to it and most of the service happens through a hole in the wall, where the barista works on some seriously good coffee and the smell of paninis lingers in the air. While having my 2nd flat white of the day, I chat with a staff member who upon hearing I was headed to Bourke st. Bakery, starts giving me directions on how to get there. It’s places like these, where people are friendly and welcoming, that you never forget. Ok, so for years now I had been looking forward to having THE tart of all tarts. 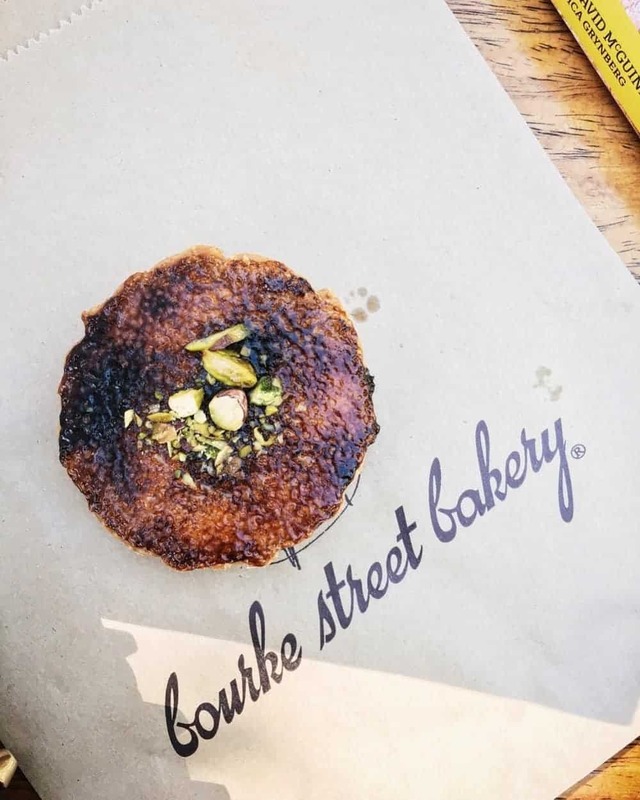 The ginger and pistacho tart that has made Bourke a legend. It was all I had expected and more. Pastry done to perfection. Just the right amount of ginger adding flavour to the custard and topped with a thin brûlée. Rachelle and I grabbed a few before heading to the art gallery of New South Wales, to see a Frida Kahlo exhibit, not before also grabbing a few croissants for the next morning. Why wouldn’t you love having cocktails and a cheese board while you are steps away from Sydney’s opera house? A full view of the Harbour bridge as well. The place is always busy, but worth going and getting a table outside. Most of my days started with an Açai bowl, though for a couple, I was craving eggs and Market Lane café had exactly what I needed. Sourdough toast with halloumi, avocado and the softest poached egg for the win! Oh and yes, a flat white. Because Australia. Be ready not to know what to order because you will want to have it all. 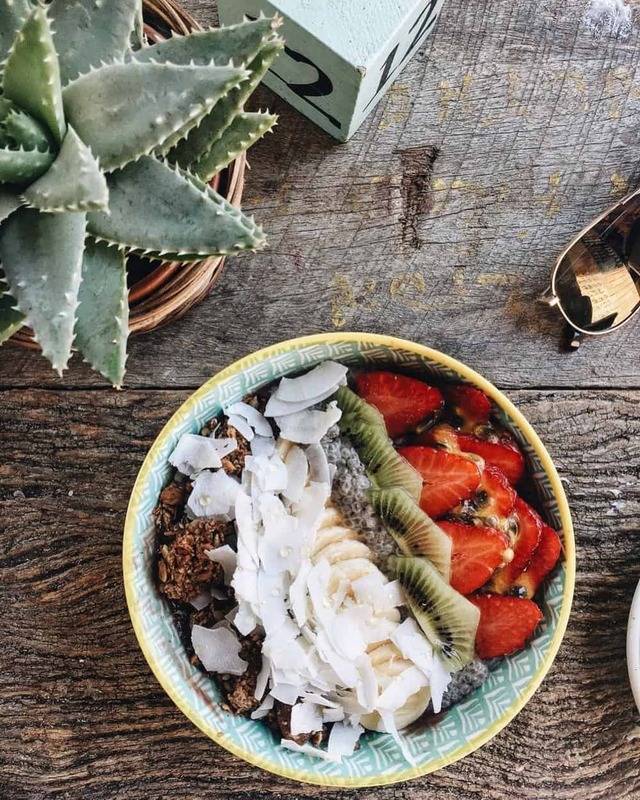 Bare naked bowls serves the best Acai bowls I’ve had, (hence me going there every single day) Superfood Smoothies, Breakfast Bowls, Cold Pressed Juices, Organic Coffee, Kombucha on Tap, Vegan Salads (the quinoa one with goji berries, chickpeas and turmeric dressing is to die for). Don’t leave Manly without stoping by. Their staff is wonderful and 10% of your purchase goes to their non-for-profit charity- The International Brothers & Sisters House. A charity that helps orphan children through higher education in Nepal, Tanzania, and Cambodia. 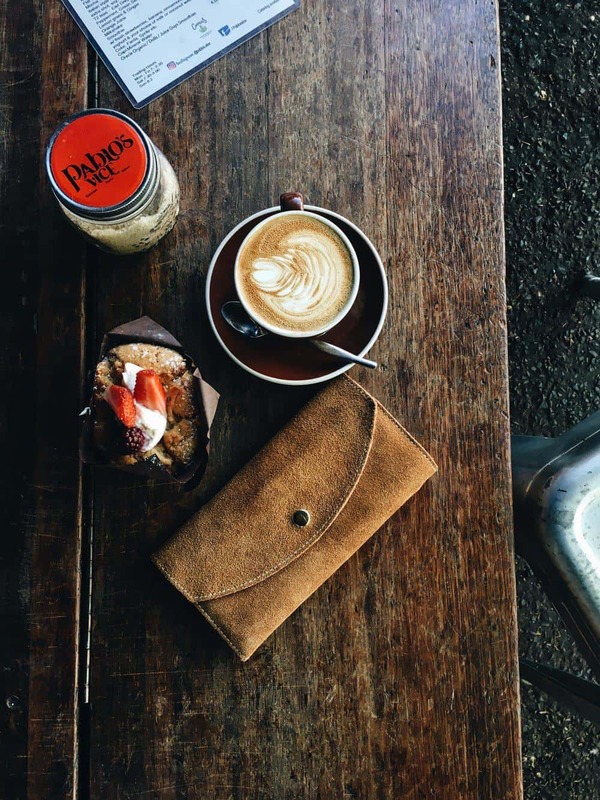 Located inside of the historical and charming Strand Arcade, Gumption offers single origin espressos and lattes. It’s just what you crave before heading over to Aesop where everything smells like you are in Bali at a spa and you can stock up on things you didn’t know you needed, because you are a sucker for their packaging. If you go for dinner, make sure you are there by 6:00pm sharp as the place is tiny and gets packed full of taco lovers. The menu is quite amazing and the Fish tacos and jalapeño margaritas are done right. They also have sopes, tostadas and a killer guacamole. 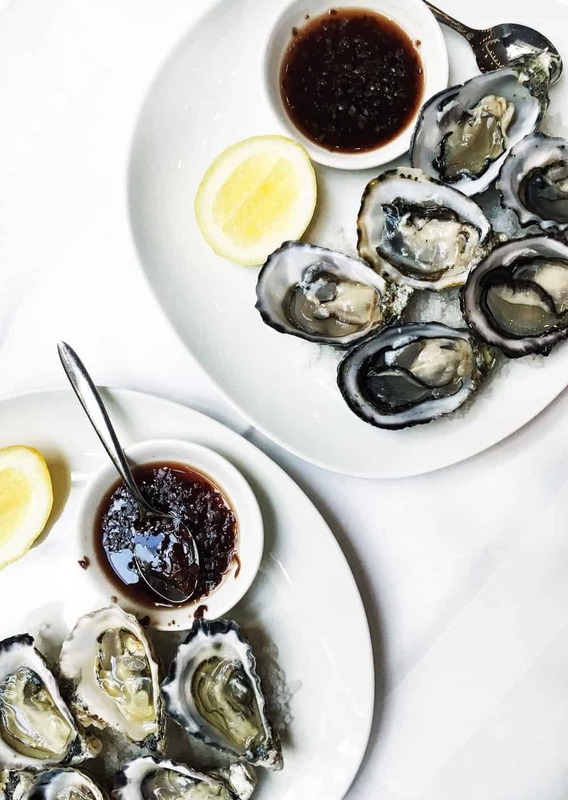 Located at the water’s edge on Manly Wharf with beautiful harbour views and a menu to match, Papi Chulo offers seafood from the grill (try their Lemongrass shrimp) and an award winning wine list. Salads, like their manchego cheese one, mixes my favourite cheese with greens and edible flowers. The light-filled room has Art Deco curves and smoked-glass lampshades, white-washed brick walls and old mirrors framed by rough, earthy linen curtains. 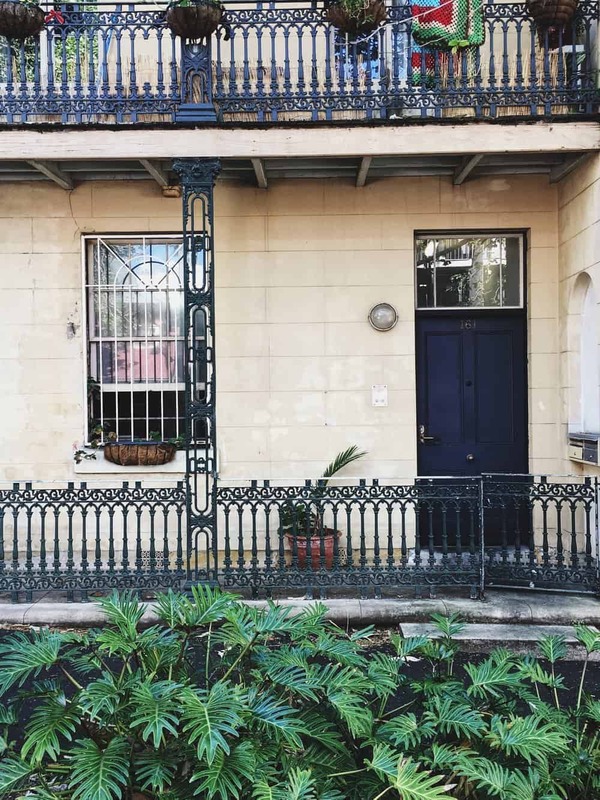 Sydney’s early convict days live on in the Rocks, where cobblestone streets and cul-de-sacs pave the way to Circular Quay. This is where The Harbour Rocks hotel can be found. Modern and simple, with great amenities and views to the Harbour bridge. It’s also home to Creperie Suzette, one of the most stunning cafes I’ve been to, serving made to order sweet and savoury crepes and great lattes. Inside of the Four Seasons Hotel, Pei Modern offers modern Australian food. My friends Rachelle and Nayla, shared oysters, gnocchi filled with ricotta, grilled barramundi and a beet salad. Desserts are the cherry on the top, especially when coffee and champagne are on the table too. While walking around the CBD, grab coffee at Georgie boy. Beautiful interiors, amazing service and excellent coffee. A constant of my breakfasts in Manly, and my favourite coffeeshop there. Smoothest flat white, and if you are into design like me, you have to stop by and check out their coffee cups. Grab a piece of their almond blueberry cake too. Thanks Carrick for introducing me to this gem. One of the most uniquely designed wine bars I’ve been to. An urban oasis in the heart of Surry Hills. There is an upstairs dinning area and a gorgeous bar in the ground floor. However it is out in the garden that The Winery comes into its own, particularly in the evening. 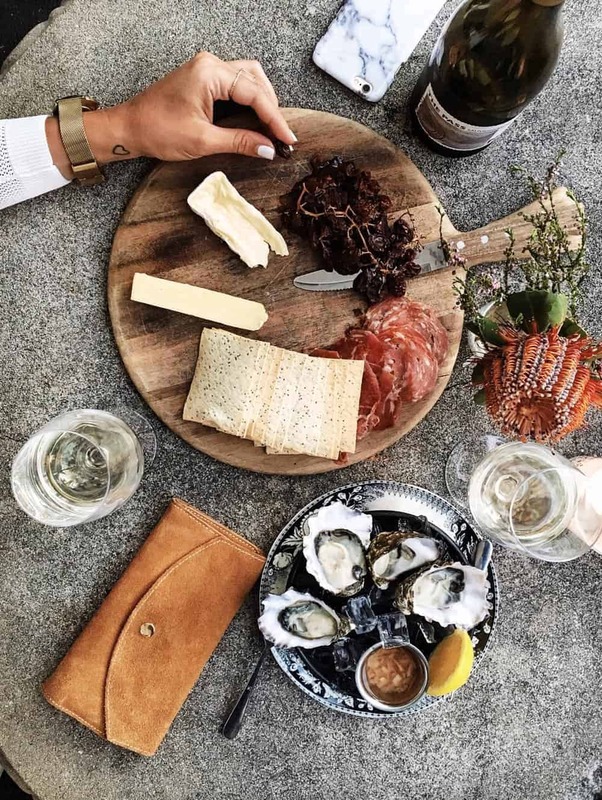 After a day walking around the city with my friend Rachelle, it was time to unwind while sharing a bottle of Sauvignon Blanc, cheese board, oysters and arancini. This place will stay in your mind long after you visit. 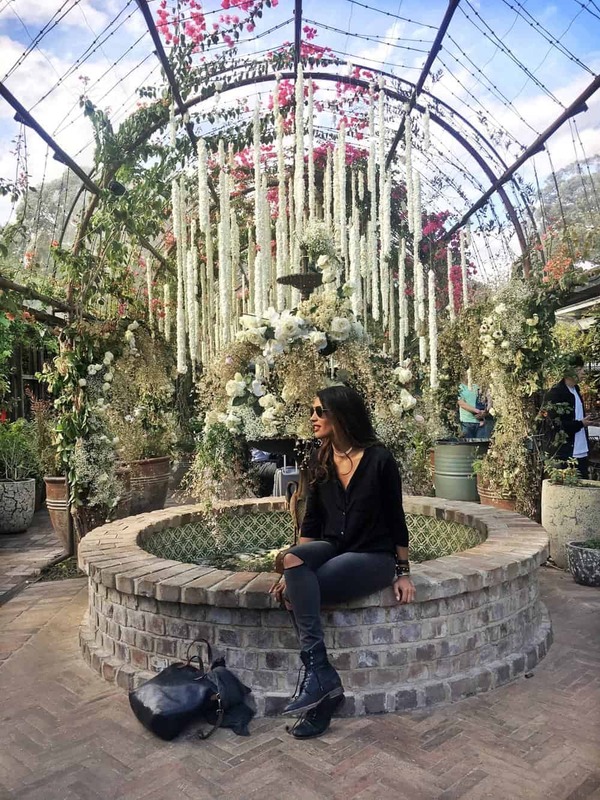 An urban farm, lined with cobblestoned streets and home to restaurants, a great bakery, flower shop, market, and cafe roastery. My friend Nayla and I went during the week to find it less crowded, as it gets packed on weekends. 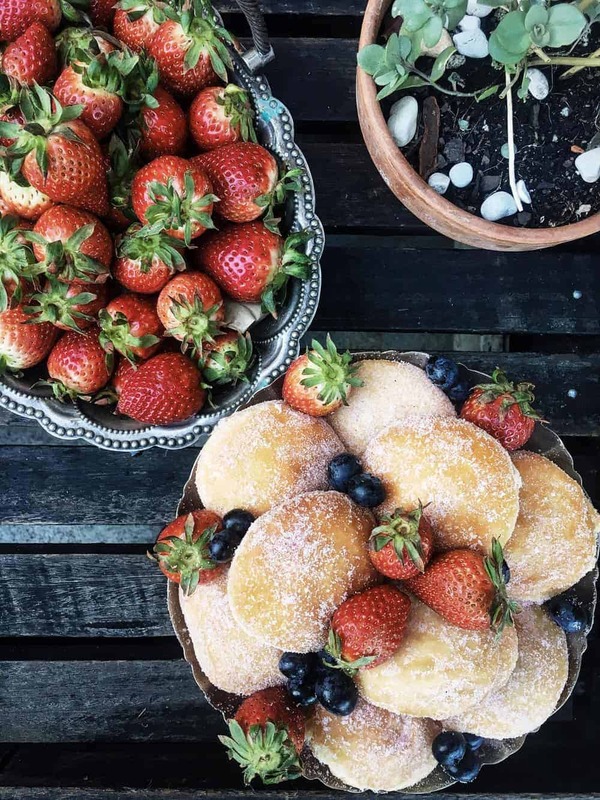 While walking to lunch we stopped by and grabbed the most delicious mini doughnuts made fresh on site and filled with fresh strawberry jam or nutella. Lunch was a roasted butternut squash with pine nuts, labneh, and Moroccan spices, cheese croquettes and mushroom tagliatelle. A place to be dearly missed. One of the things that I loved the most about Sydney was how people love being active. 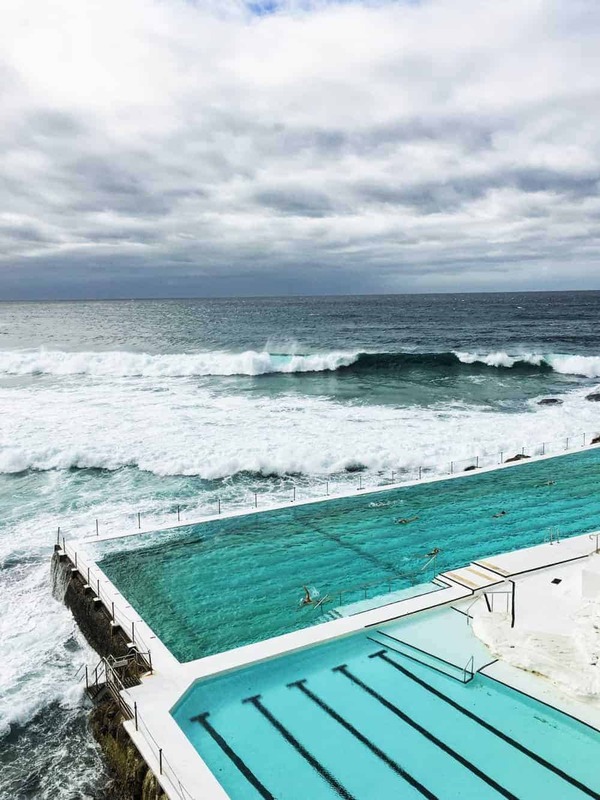 It could be running on Manly beach, or the botanical gardens, hiking to North Head, or surfing in one of its many beaches. 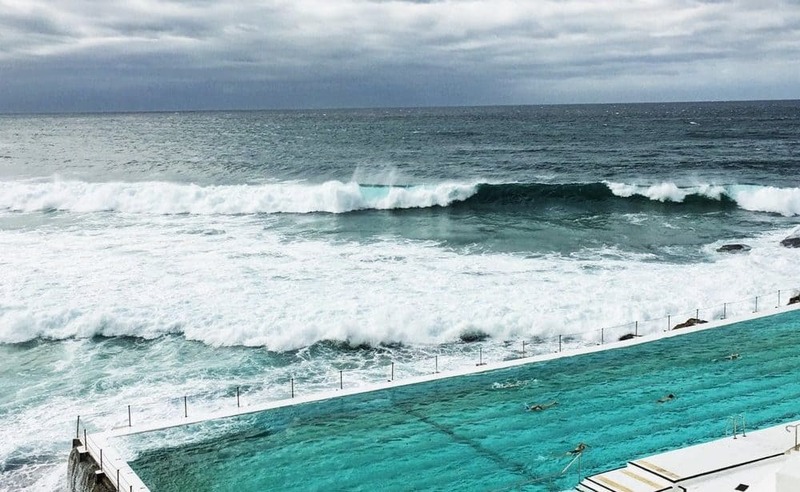 Bondi is breathtaking, Manly beach a dream. The National gallery of New South Wales and Museum of contemporary art. Previous Article Previous post: Butternut squash and mushroom quesadillas. What a lovely story, thanks Diala. I’ll remember this and come back to use it as I guide for my next return to Sydney – whenever that happens to be. I’m so happy you enjoyed it! Sydney is such a fantastic city and I can’t wait to be back. Melbourne is on the list too.